Experience Excellence and Comfort On A Different Level. 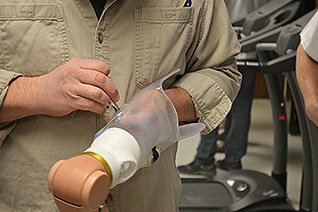 Welcome To Precision Prosthetics, Inc. 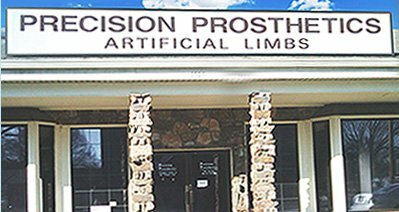 Precision Prosthetics, Inc. is located at 1505 S. Perkins Rd., Memphis, TN 38117. 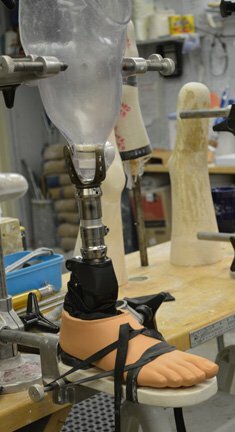 We stay on the leading edge of technology through continuing education and the pursuit of always wanting to find “a better way” to offer excellent prosthetic care. We are locally and individually owned by husband and wife, Edward (Skip) and Karen Martin. Our mission is to provide people the opportunity to “return to life” after the devastation of losing their most prized possessions, parts of their bodies. 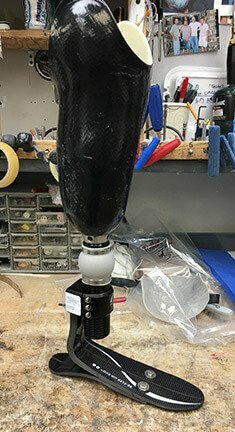 Comfortable prosthetics are our ultimate goal; If you can't walk, let's talk. When we evaluate a new amputee, we ask many questions about their lifestyle and occupation, needs and goals. 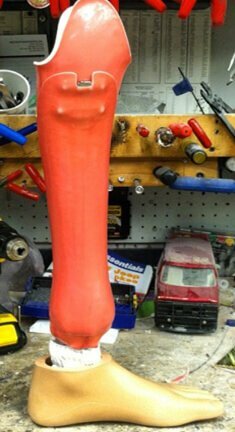 Once that is understood, the information is used to design the most appropriate prosthetic limb (s) for that individual. Precision Prosthetics offers a variety of lower extremity prosthetics to help patients have optimal function and comfort. 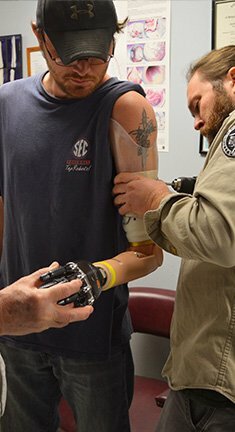 We seek to offer the best, most functional arm prostheses to our patients, depending on their needs and capabilities. Whether the amputation is the result of a disease or an accident, you can rest assured that these children will be well cared for. Precision Prosthetics offers a locking liner system, which provides better suspension and residual limb protection.